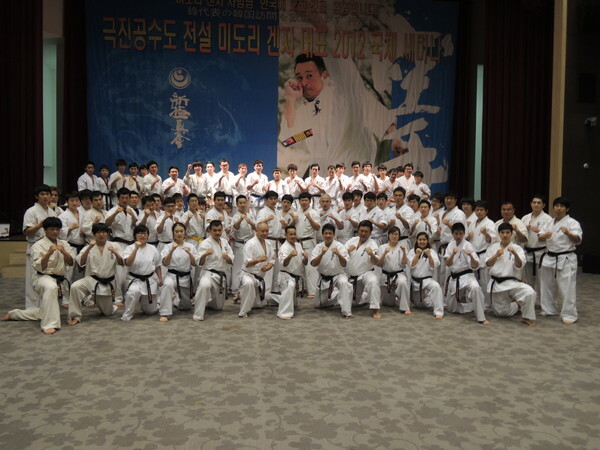 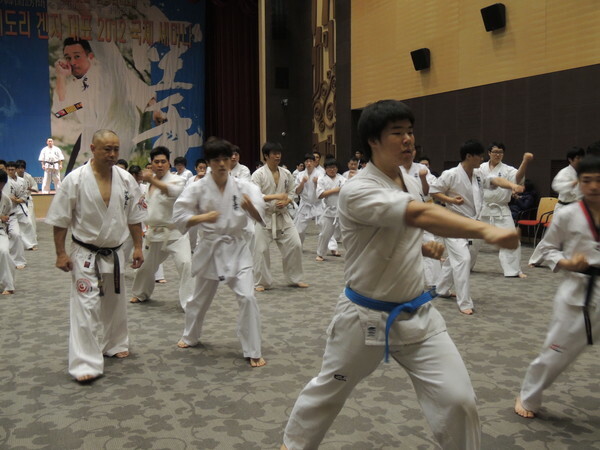 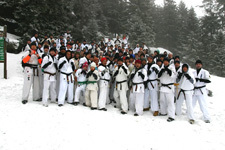 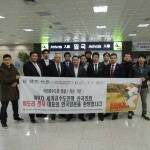 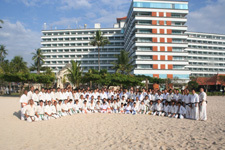 Korean Karate Seminar 2012A seminar led by President Kenji Midori was held in Pusan, Korea on November 18th (Sun. 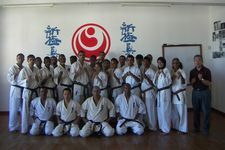 ), and over 100 participants enjoyed their hard training. 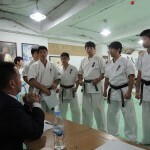 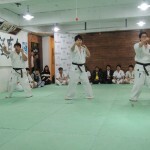 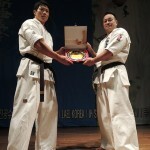 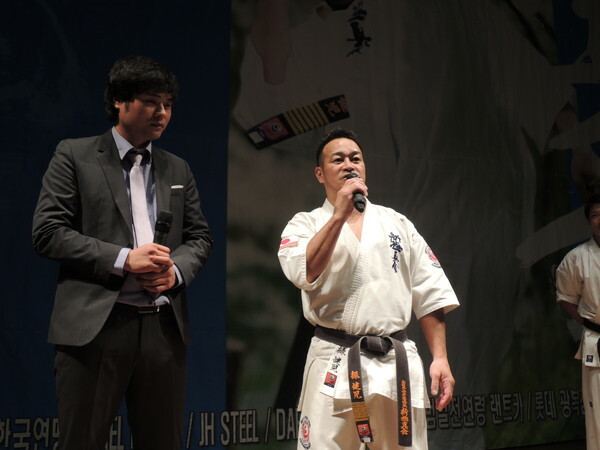 This seminar was organized by Il-Nam Kim 3rd Dan, Branch Chief of Korea. 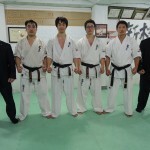 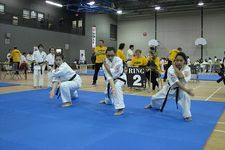 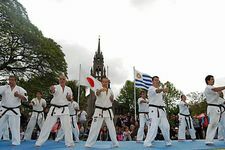 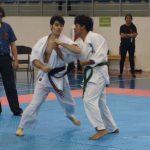 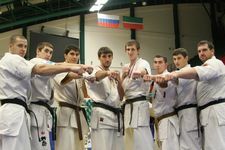 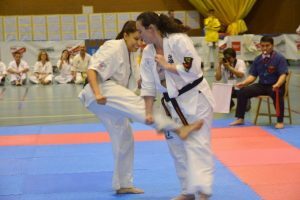 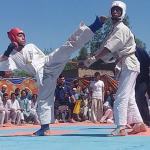 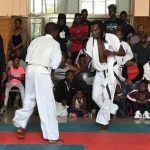 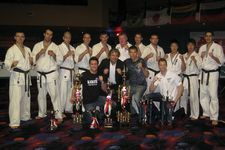 He is a Karate-ka with a great career as a competitor, participating in past World Championships and Asia Championships. 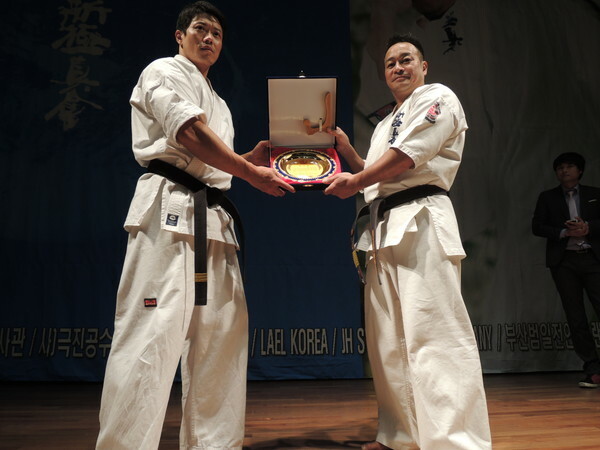 In 2008, he was the winner of the Middleweight Category at the Asia Championship. 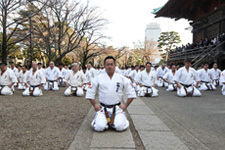 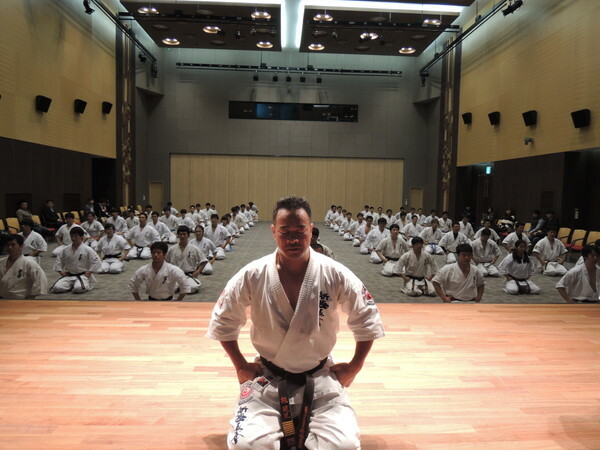 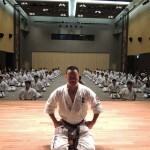 He has vast experience of training in Japan, and he is now actively promoting WKO in his 4 dojos in Pusan. 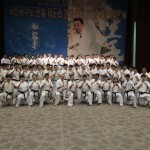 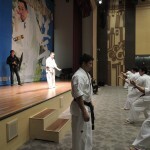 This seminar was organized by Branch Chief Kim, with the wish to further promote Shinkyokushin Karate in Korea. 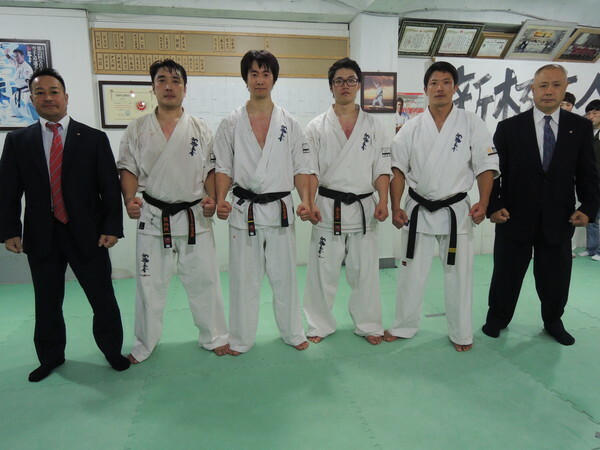 President Midori stated that “There is a need to work for Japan-Korea friendship through Karate, and world peace through Budo”. 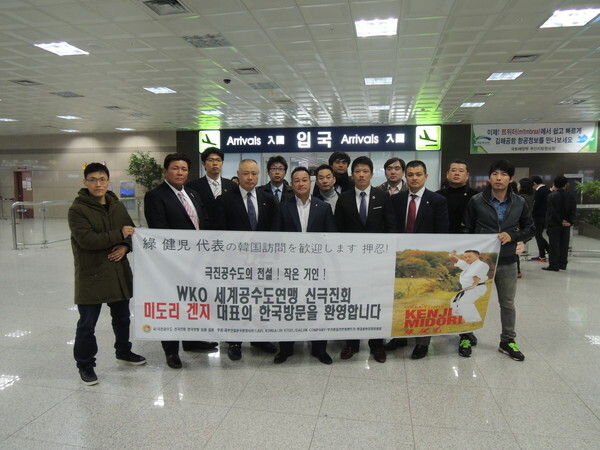 Not only did WKO Board Member Kimoto and WKO Executive Director Koi accompany President Midori, but Adviser Masahiko Okui (Tokyo Hokusei Branch), a supporter of Shinkyokushinkai who is familiar with Korean Business, also made the friendly visit to Korea. 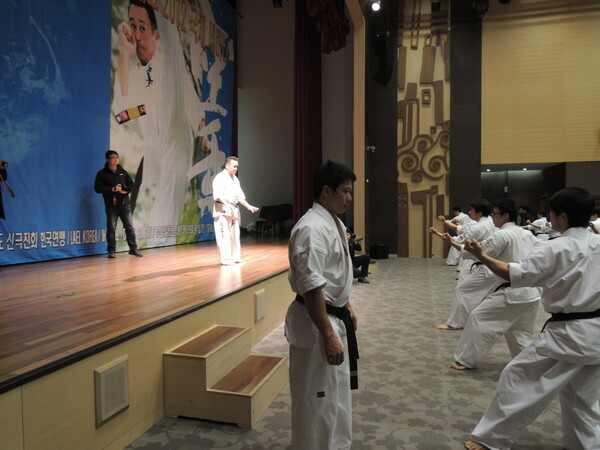 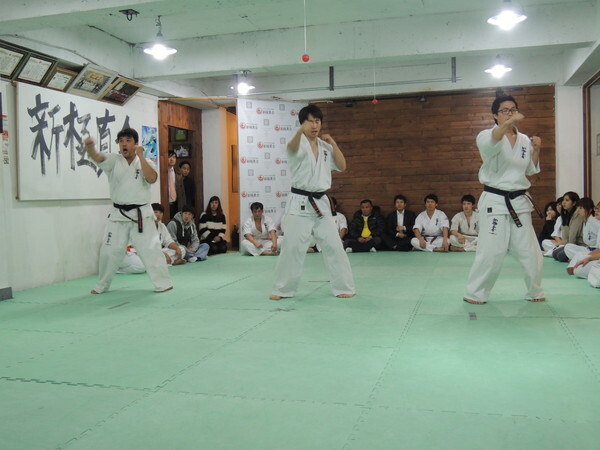 The path after opening a dojo in Pusan, was not always smooth for Branch Chief Kim. 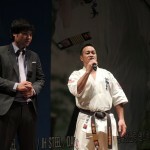 On many occasions, he faced invisible barriers, such as cultural and historical differences between Japan and Korea. 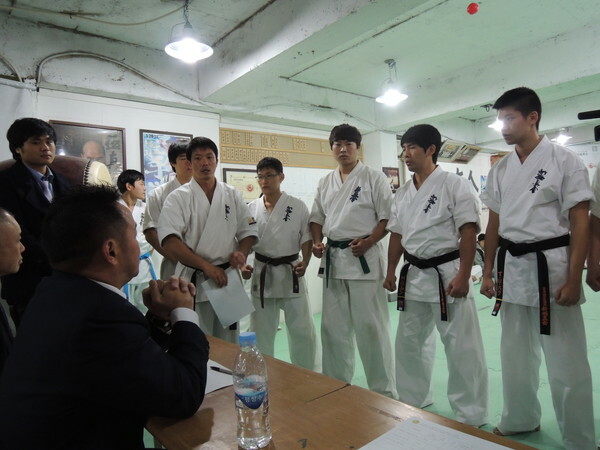 Such hardships have now paid off, and he is about to make the first step toward great growth.